At True Carnivores we are believers of treating fleas in the most noninvasive and natural way possible as not to compromise the health of your pet. Many intensive flea treatment medications are known for lowering the immune system of your pet which can make them vulnerable to bacteria and disease that they may have otherwise been able to fend off. Check out our fantastic solutions listed online! 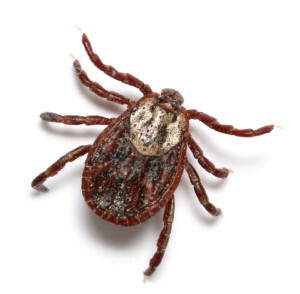 As most of you know, just as the weather starts getting warmer and we can finally spend much of our time outside, the fleas and ticks come out. Unfortunately, the mild weather and high humidity create the perfect breeding environment for these pesky critters, causing their populations to explode. Of course, we want to get outside and go hiking and camping with our furry family members and not have the burden of worrying whether we’re about to bring home a swarm of pests. This is why we decided this was a very important issue to discuss since the most well known preventatives and treatments out there contain harmful chemicals and we want to inform the public of the many, much safer options out there. Fleas are those tiny, wingless jumping machines that love to hide in your pets fur, drink their blood and lay eggs – gross, we know. They can also make their way on to your furniture and other fabrics in your home, waiting for a dog or cat to jump on and set up camp. They can jump vertically up to 7 inches and horizontally up to 13 inches, classifying them as one of the best jumpers (for their size) in the animal kingdom. This would be the equivalent to a human jumping 49m high and 90m horizontally! If you can see a flea infestation on your dog in cat, it is important to keep in mind these are only 5% of the population and there are 10 times this many eggs waiting to hatch! 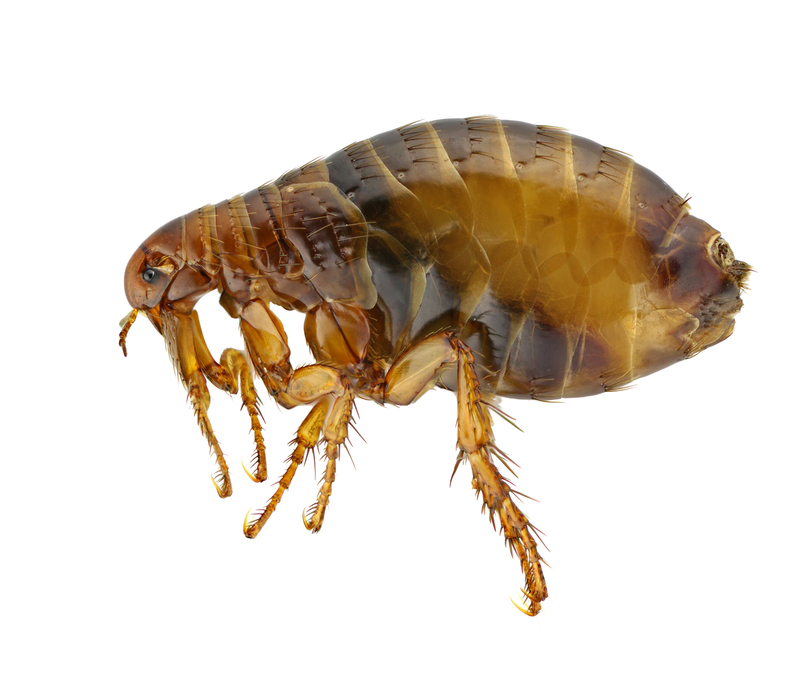 Fleas can be incredibly frustrating to deal with, however with a little effort, they can easily be eradicated. Of course, it is much easier to prevent fleas and ticks before they happen than trying to get rid of them once they do happen. Conventional treatment involves placing a liquid chemical solution between the shoulder blades of your pet once monthly. This treatment must be placed in an area that cannot be licked as it is a poisonous substance and if ingested, your pet must be taken to the vet immediately. Not to mention, giving your pet the wrong dosage can also cause dangerous, adverse effects like seizures which can be life threatening. It is for these reasons we, and many other pet owners advise against the use of these methods of flea and tick prevention. Fortunately there are a number of extremely safe options out there that we will further discuss. consumed. In fact, diatomaceous earth is often taken internally to treat ailments such as intestinal parasites. This product works great for any hard shelled insect, so it can also be used for other infestations such as ants and bed bugs. Diatomaceous earth is therefore great to use as a preventative and a treatment for an already existing infestation. Banana bark extract is an all natural repellent that works great for insects including fleas, ticks, mosquitoes and pretty much any bug except flies! It has no scent and does not stain, making it great to spray anywhere. We suggest spraying your dogs body and furniture, and also spray it on yourself to protect yourself from pesky mosquitoes in the summer! Bring it with you camping and spray it on all your gear to have a comfortable, bite free trip. 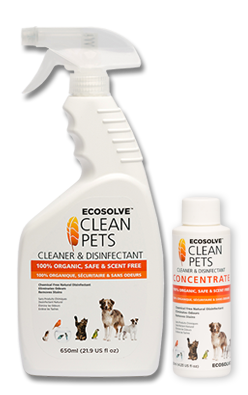 The banana bark product we carry also doubles as a disinfectant cleaner that is safe to use around pets! We use banana bark in our store as a disinfectant and have heard nothing but great things from our clients about its repellent properties! This one is quite simple, a dog or cat who eats a biologically appropriate raw diet is considered healthy. Fleas and ticks don’t generally go after healthy pets. To give you a better understanding, a commercial pet food is loaded with sugars and preservatives which causes your pets body to become alkaline. This is a flea/ticks dream – sugary alkaline blood to feed on. Whereas a raw fed pet’s diet contains very little or no starch at all and the dog or cats body is in its ideal acidic condition. 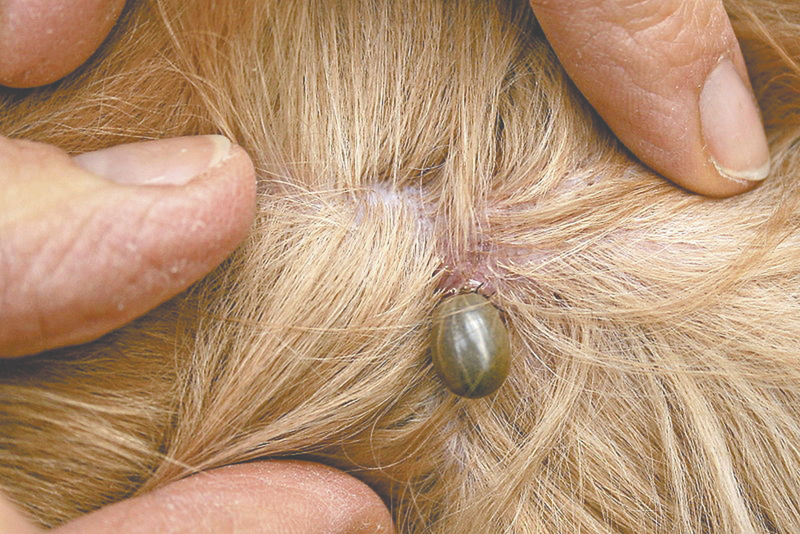 Fleas and ticks simply aren’t a fan of an acidic pets’ blood! This isn’t to say that raw fed dogs will never get fleas or ticks but it does mean that you are one step further in the right direction toward prevention! While fleas and ticks can be a huge pain, there are lots of easy and safe ways to get rid of them or prevent them before the infestation starts. We want to encourage everyone to try one of these safe, proven methods before choosing a toxic chemical that could potentially cause more harm than good to your dog or cat. As always, if you have any questions or want to know more about our natural flea and tick solutions, we welcome you to call or come in and we would be happy to assist you! Also, be sure to check out this awesome video by Dr. Karen Becker as she talks about the benefits of herbal repellents. 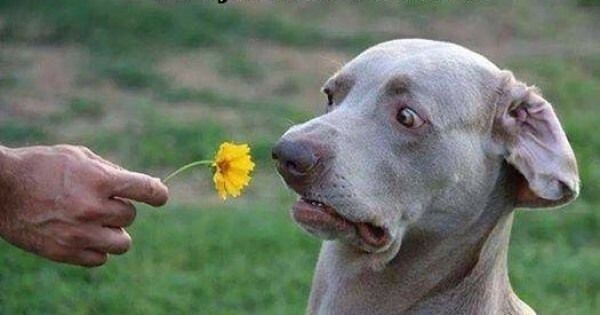 Bad breath is not only hard for us humans to tolerate when our dog is slobbering all over us but it can also be a sign of poor oral health or even an unhealthy balance of bacteria in their gut. Check out our great solutions listed online! A healthy canine mouth. Pink gums with no swelling or inflammation. White teeth without plaque build up. 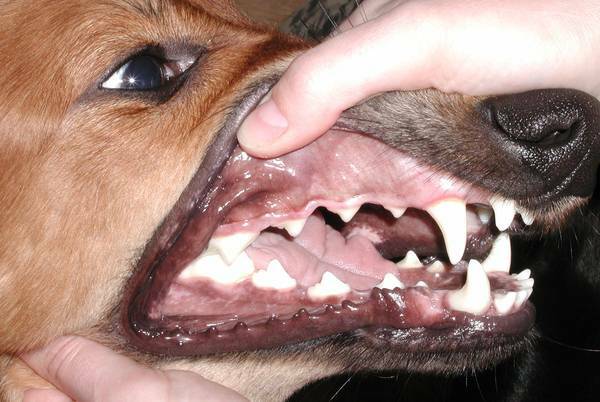 Your dog’s teeth should be a pearly white color and have little to no deposits of plaque on them. The gums should be pink, not red, inflamed or swollen, and their breath should have no distinct odor. If your dogs teeth have a layer of plaque, swollen gums and bad breath, it is likely their dental health is already compromised, However, there are a number of treatment options followed by preventative measures that can be used to prevent the problem from coming back. Be aware of any changes to your dog’s teeth or eating habits. If your dog is hesitant toward eating or chewing a bone or a toy, take a look inside their mouth. Gingivitis (inflamed gums) and broken teeth can cause pain while chewing and should be addressed immediately before discomfort and refusal to eat progresses. As with most ailments, prevention is much easier than treating the issue after it has already progressed. It is important to start prevention as early as possible – as soon as a puppy is weaned of his mother and is eating solid food, you should start offering bones and chews. Bones are one of the most natural and healthy ways to keep your dog’s teeth clean- in fact, we like to call them “nature’s toothbrush”. There are a few different types of bones and each one will provide a different benefit. Feed your dog as much variety as possible to reap all the benefits! For more information on bones, check out our blog here! Meaty Bones & Poultry Necks – act as floss! As your dog rips and tears through the meat, the fibres are pulled through his teeth, removing any plaque or food particles. Knuckles and Ribs – These bones generally have less meat on them and plaque will be scraped off as they chew. Knuckles and ribs are high in calcium and phosphorus which promote strong teeth. Marrow Bones – These bones are rich and the tasty marrow can help entice picky chewers. Marrow bones should be fed in moderation due to their higher fat content. If your dog isn’t much of a chewer, or you want add something more to their dental routine, there are a few supplements that work amazingly well! Cheese enzyme : One supplement we have seen much success with is a cheese enzyme called DentaTreat. Denta Treat is composed of a special blend of dental-active natural cheeses, minerals and probiotics that encourage the chemical breakdown of plaque causing bacteria. 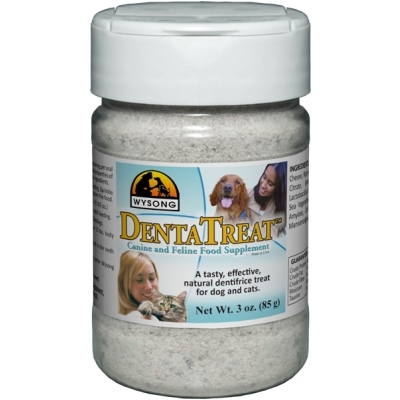 Most dogs find this product very tasty, making it a great alternative to other dog toothpastes. Plaque-Off: Plaque off is a product made from seaweed that can be added to your dog’s food. It is activated by your dog’s saliva and works to break down the bacterial biofilm that forms on the t eeth and gums. Toothpaste and Brushing: Brushing your dogs teeth with doggy toothpaste is another option that mechanically removes plaque as well as chemically breaks down plaque due to ingredients in the toothpaste. 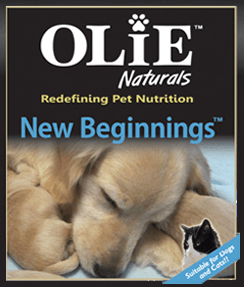 Probiotics: Many natural forms of probiotics like Olie’s New Beginnings, tripe and goat’s milk contain enzymes. Enzymes assist in the breakdown of bad bacteria and therefore inhibit plaque accumulation. Probiotics also boost your dog’s overall immune system. Having a strong immune system is important for fighting off bacteria and infection. If your dog already has advanced plaque or gingivitis, you may wish to treat the issue and then follow with the preventative measures previously discussed. A procedure such as Anesthesia-Free Dental Cleaning is a safe and non-invasive option to remove excess plaque. You can think of it much like the dental cleanings humans have every 6 months. For more advanced issues, or teeth that may need to be removed, conventional veterinary dental cleaning may be necessary. In this case, your dog will be put under anesthesia for a deep er cleaning. Have You Noticed Your Pet Suffering From Hot Spots? Hot spots are one of the more misunderstood problems that tend to surface on our pets. They are created when your dog’s natural bacteria overpopulate parts of his skin. Hot spots often occur in dogs with under performing immune systems and often veterinarians will inform you it is an allergy and put your dog on medication. Check out our great solutions listed online! If we look at the surface of a hot spot we see that they are nothing more than a bacterial infection that has settled into the top layer of the skin and become inflamed. Say your dog has had a great day swimming in the dirty pond water on a relatively humid day, then decides to lay in the shade with her shaggy coat still wet from her swim. This has created a dirty, soggy, warm, and hospitable environment for your dogs’ natural bacteria to overpopulate. This is a perfect beginning for a potential full body allergic reaction which includes those rotten hot spots. Hair removal. In order to properly treat your dog’s wound the first thing you will need to do is remove the hair on and around the affected area. Even if you don’t want to remove it just remember that hair is hair and it will grow back! In the case that you don’t remove the hair it can become trapped in the hot spot creating more pus and making it much more difficult for your dog to heal – this can even help create a bigger infection causing the wound to get worse. In short, we recommend you get your dog’s wound shaved to prevent the infection from spreading. Disinfecting the wound. Once you’ve shaved the area you can begin gently disinfecting the wound with a solution that will remove bacteria. We recommend using a spray such as Colloidal Silver or Healing Solution by Dr. Dobias. Other topical solutions you can use could be a thin layer of manuka honey, raw aloe, or a cool chamomile tea bag pressed against the wound to soothe the itch. In the beginning – at least days one and two of the disinfecting routine – while there’s a lot of oozing from the wound, you’ll want to repeat the disinfecting procedure as often as necessary to keep the area clean, dry and pus free. Your goal in managing the hot spot is to keep the area clean and dry at all time. Stay away from products with stinging or astringent properties on an open, raw wound. Solutions like vinegar or tea tree oil, while they are anti-microbial, are painful when applied to an open, raw wound. Continue the disinfecting procedure until the wound shrinks in size, the infection clears and your pet is no longer bothered by the hot spot. No licking or scratching! Obsessive licking and/or scratching will not help you pet heal – insuring your pet leaves the hot spot alone is critical to the healing process. 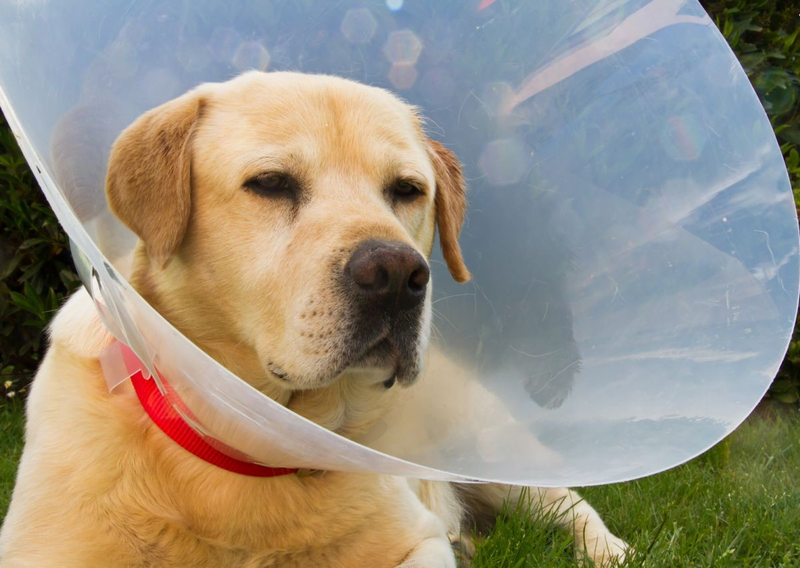 You will probably need to use an E collar on your dog (yes, your dog will have to become one with the lampshade) to prevent him/her from licking and biting the affected skin. As an alternative to the E collar, you may be able to manage the wound by applying a light wrap or putting a t-shirt on your pet, if you are sure they are unable to access the wound. Allergic Sensitivity. Being able to manage hot spots is to identify why they happen. This can range from allergies, mental boredom, all the way over to underlying pain. Both food and environmental allergies can cause hot spots. If you begin noticing that each time you give you’re a piece of your crust and he/she gets a hot spot shortly after, there’s a high chance he/she has a grain-based allergy. If it is as simple as that you can begin adjusting your dog’s diet. Environmental allergies can also cause hot spots. Grasses, pollens and molds are typical allergens, but it can also be polluted water or even toxic air that can cause a secondary hot spot on your pet. The big bad flea, these little guys are a real pest from every angle you look. Flea allergy dermatitis is also a major reason why animals get hot spots. You may not be able to see the flea but if your dog is sensitive even one bite can cause an awful flare up of hot spots. Underlying painful conditions. If your dog has a painful spot on his/her body and they begin obsessively digging and chewing at the area, very quickly a hot spot can form. A good example would be if you have an older dog that has never suffered from hot spots but suddenly starts chewing at the skin over their hip joint, this could be a response to underlying joint, muscle, nerve, or bone pain. Emotional or mental causes. Some dogs may suffer from mental boredom, OCD, separation anxiety…etc. These behavioral issues can cause your dog to obsessively lick and chew in one specific spot which creates hot spots. Unfortunately, behavioral causes are the most difficult to successfully treat as your pet will be obsessive about the area. Remember – Keeping the infected area clean and your pup away from it will help with a quick healing process! Does Your Pet Have Red Paws? If you are noticing that the fur between your pet’s toes have become red and rusty looking accompanied by chewing of the paws and general restlessness – this could be a sign of an allergy or an imbalance of your pet’s gut flora. Redness of the paws can also be caused by yeast build-up and/or an imbalance in your pet’s gut flora. In order to get their tummy bacteria back in check you may need the assistance of a probiotic. New Beginnings can also be applied topically to the paws as the good bacteria helps combat inflammation and harmful bacteria due to its antimicrobial properties! Click here to learn more and/or to purchase this product! Coconut Oil provides is a treasure chest full of rare beneficial nutrients for our companion animals that may promote simple solutions to common health challenges such as red paws. Applied topically it helps sooth and moisturize the skin, when given orally coconut oil’s powerful antibacterial, antiviral, and anti-fungal agents help heal your dogs red paw. To learn more about coconut oil click here! 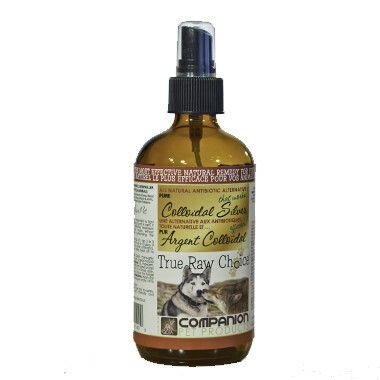 Pure Colloidal Silver, is a natural antibiotic and anti-fungal liquid. 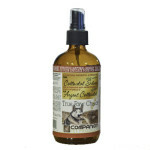 It is an excellent topical applicant for red paws, wounds, fungal infections, skin allergies, and ear/eye cleanser. Talk about an all natural treatment! Olive leaf powder is a supplement extracted from the leaves of olive trees. It is a natural antibiotic, anti-viral and antioxidant; and has also proven to be effective against yeast infections. There are a number of ailments for which we recommend olive leaf powder as a treatment for cats and dogs, red paws is one of them! For more information on this product please visit out blog! True Carnivores believes in probiotics, coconut oil, olive leaf powder, tripe, raw goat’s’ milk… the list goes on when it comes to natural immune boosters and digestive aids. We believe in the most non-invasive and natural way possible to boost their immunity as not to compromise the health of your pet anymore than it may already be. Check out some of our fantastic solutions listed online! Probiotics are the live bacteria that are found in fermented products such as yogurt, green tripe, or unpasteurized goat’s milk. You can find them by looking for names such as Lactobacillus or Bifidobacterium. By consuming products with probiotic, you are replenishing the digestive tract with “good” bacteria. These good bacteria keep you healthy by controlling the growth of harmful bacteria and helping move the food through the digestive tract. Probiotics are especially beneficial for those with digestive related illnesses such as irritable bowel syndrome, inflammatory bowel disease, infectious diarrhea (caused by virus, bacteria, or parasites), or anti-biotic related diarrhea. On top of the digestive benefits, probiotics can also be used after antibiotic treatment to replenish beneficial bacteria and they have also shown to help strengthen the immune system. One downside to probiotics is that they are very delicate and can be destroyed by heat or acid in the stomach. Therefore, we always recommend ‘adding’ probiotics to the food before serving as opposed to buying food that the manufacturer claims to already have included probiotics in. Because they are living, fragile organisms, there could be a high chance that the probiotics have already been killed in the process of manufacturing the food, especially if heat is involved in the case of making kibble or canned foods. What is Olive Leaf Powder? Olive leaf contains the active ingredient Oleuropein which works by stimulating your pet’s immune system to attack foreign invaders, while causing no harm to healthy microbes in the body. Which pretty much means that your dog’s body will be armed and ready to fight off any bad bacteria or virus that it comes in contact with. Olive leaf also has anti-inflammatory properties that bring down swelling and decrease pain in joints. This supplement is all natural and safe to use without any future risks or side effects your pet may experience with prescription medications. Everything that enters our pet’s mouths is eventually filtered through their liver. You may want to use the help of an herbal supplement to assist in a gentle detox of your pet’s liver at some time in their lives. Check out some of our great solutions listed online! WHAT DOES THE LIVER DO? 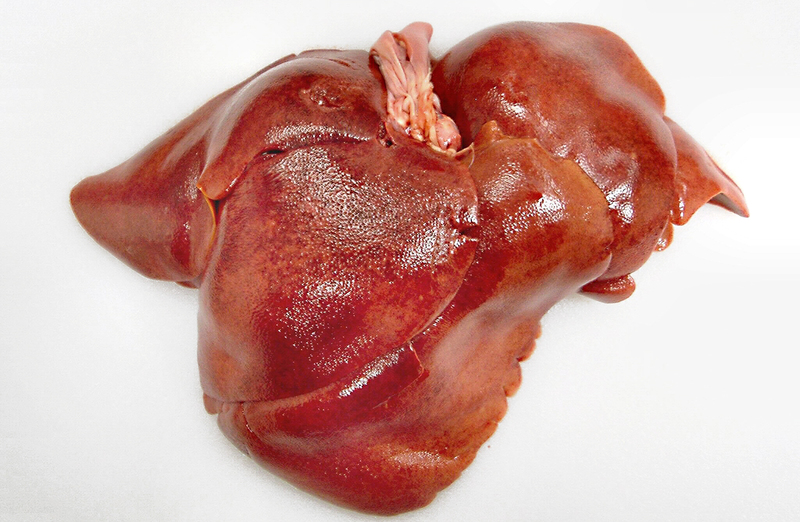 The liver is the body’s largest and one of the most important organs. It is responsible for making many of the chemicals the body needs to function properly, it breaks down substances and detoxifies the blood, and also acts as a storage unit for vitamins and minerals. Because the liver acts as a filter and works to rid the body of damaging substances, this means it is vulnerable and greatly impacted by what enters the body. In this blog we aim to address what liver disease is, what causes it, some of the symptoms, as well as what preventative measures can be taken and the holistic treatment options that are available. Liver disease occurs when there is an overload of toxins entering the body throughout a lifetime, which eventually compromises proper functioning. While the liver is well equipped at regenerating itself, there comes a point when there is significant damage that cannot be repaired- this is known as liver disease. Over half of the functional tissue must be destroyed in order to be classified as liver failure. It is nearly impossible to reverse the damage when scars are formed where healthy cells once were. However, there is much that can be done to stop the progression of liver disease and manage symptoms to keep your dog happy and comfortable for years. supplements such as milk thistle – a very powerful antioxidant that blocks toxins from entering the liver and removing them at a cellular level. This results in regeneration of cells and improved organ function. Our favorite supplement is Liver Shield by NaturPet- Click on the image below to view this product and learn more on our website. Although liver disease can have some terrible effects on your dogs body, there are many ways to suppress symptoms and stop progression. It is best to catch this disease early on when the liver still has a chance to regenerate and regrow damaged cells. Keep an eye on your dog to notice minor changes in appearance and behavior, and make sure your senior dog has regular blood panels to spot trouble before it progresses. As always, we welcome you to call or come in to ask any questions you might have! Would you like to further promote your pet’s kidney health? Whether your pet is aging and you want to support their kidneys as a preventative or your pet has had kidney issues in the past it can be a good idea to supplement with an herbal kidney support supplement! Check out some of our natural remedies available online! 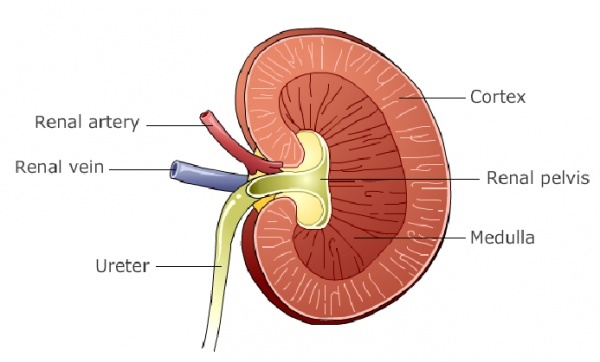 The kidney is a crucial organ in the body responsible for excreting wastes that accumulate during metabolic activities. Toxins, salt and metabolic wastes are concentrated and dissolved in water before being flushed out via urination. Urine that is highly concentrated is an indication of healthy kidneys. Kidney disease occurs when the kidneys become damaged and are no longer able to efficiently concentrate the urine and remove wastes. This causes an increased need for water intake to help flush out the toxins. Eventually no amount of water will be successful in flushing all of the toxins and this means there is excessive damage to the kidneys. There are two types of kidney failure in dogs: Acute and chronic. Acute kidney failure occurs suddenly due to ingestion of a poison, a bacterial infection, or an obstruction, among other causes. This condition requires immediate care to prevent death. For the sake of our purposes we will be talking about chronic kidney failure. Just like heart disease is common in humans, in dogs kidney failure is one of the most common ailments seen. Unfortunately, kidney damage is nearly impossible to reverse, but by taking the right measures, you can significantly decrease symptoms and make your dog more comfortable. It is also important to monitor the health of other organs such as the liver since an issue with one usually leads to an issue with the other and vise versa. Water! – keeping your dog well hydrated gives the kidneys more fluid to flush out toxins. Feeding your dog a diet with a high moisture content can make this task a little easier. In some cases subcutan eous fluid therapy may be necessary. Below is a list of foods low in phosphorus and in the right column there is the corresponding product that we carry in store. Use this table to help you plan meals for your dog with kidney disease! The owner of True Carnivores, David, has personally dealt with his own dog battling with kidney and liver issues. Chisel the yellow lab was 9 years old when he got into the grease trap of a BBQ and ate all the fat. He needed immediate veterinary care and was diagnosed with acute pancreatitis. Soon after, the damage progressed into chronic kidney disease. Chisel was fed a raw, moisture rich diet and followed the suggestions we wrote on this blog and others. Chisel’s symptoms were managed until he peacefully passed away at 13 years old, on his own terms. This is just one example of a dog diagnosed with kidney disease and pancreatitis who had years added onto his life due to some diet and lifestyle changes. If you have a dog with kidney disease, it is never too late to start treatment. There are many ways you can extend your dog’s years and make them more comfortable. Many of our clients have found a great deal of success in merely changing to a raw diet. Call us or come by and we would be happy to guide you through the journey to a happier and healthier dog. Are You Seeing Symptoms of an Ear Infection? If you have noticed an unpleasant odour coming from your pet’s ears accompanied by other symptoms such as scratching the ears, increased head shaking, redness and swelling of the ear canal or increased discharge from the ear canal your pet may be suffering from an ear infection. 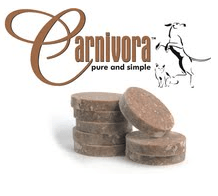 At True Carnivores we take into consideration your dog’s diet, allergies, and their breed. Yeast is a big player when it comes to ear infections as it can come from high fruit and vegetation in the diet, spinal trauma, and a high carb diet such as kibble – just to name a few. Feeding a species appropriate diet alongside tripe and a good probiotic can help heal your dog and get rid of that funky odor! Check out some of our fantastic solutions listed online! 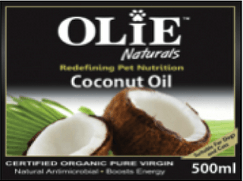 Coconut Oil provides is a treasure chest full of rare beneficial nutrients for our companion animals that may promote simple solutions to common health challenges such as an ear infection. Applied topically it helps sooth and moisturize the skin, when given orally coconut oil’s powerful antibacterial, antiviral, and antifungal agents help heal your dogs red paw. To learn more about coconut oil click here! Ear infections are often caused by yeast build-up and/or an imbalance in your pet’s gut flora. In order to get their tummy bacteria back in check you may need the assistance of a probiotic. New Beginnings can also be applied topically as an ear wash as the good bacteria helps combat inflammation and harmful bacteria due to its antimicrobial properties! Click here to learn more and/or to purchase this product! Colloidal silver is made from chelated and suspended silver. 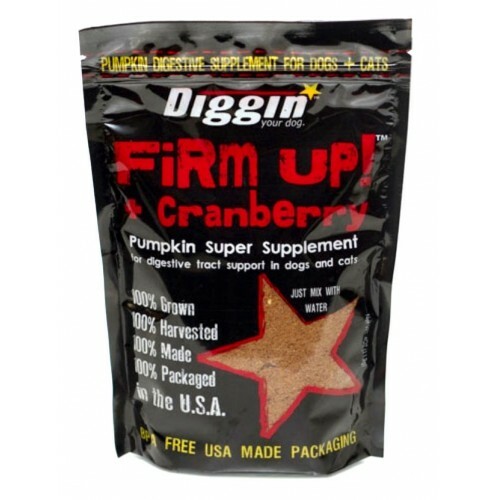 It helps maximize the immune system and greatly enhances the bioavailability of trace minerals. Colloidal Silver is humic acid, which is vital in providing mass amounts of trace minerals and nutrients. Carrying antibacterial and antiviral properties it helps not only maintain healthy skin but also aids in many other areas too. Using colloidal silver on your dogs ear infection topically will help clean, disinfect and begin to help the infection heal. What is fulvic acid? Fulvic acid comes from chemical compounds that are found in the soil that’s used to grow plants. How can they help with my dogs ear infection? Fulvic acid contains an array of nutrients such as fatty acids, vitamins, minerals… the list goes on. It helps their bodies absorb nutrients better and has a positive effect on your dogs overall health such as being an antioxidant and an ant inflammatory. Fulvic acid aids in ridding your dogs body of harmful radicals and helps reduce pain and inflammation. To read more about fulvic acid visit our blog! Have You Noticed That Your Pet ‘Leaks’ When Sleeping or Resting? If your pet has suffered from a spinal injury or is an aging spayed and/or bred female – you may have noticed some leaking of urine, especially during times of rest. Consider using a natural supplement to curb this condition. 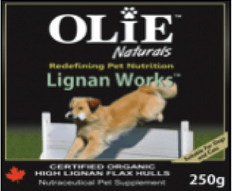 Supplementing with a high concentration of lignans found in flaxseed hulls provides hormonal assistance in spayed and neutered pets and can help reduce the symptoms of urinary incontinence. Click here or on image to learn more and/or to purchase this product! Interested in Promoting a Healthy Urinary Tract? Check out our fantastic solutions listed online! Extract powder is a powerful antioxidant and its healing properties inhibit the growth of harmful bacteria as it passes through the urinary tract. Adding cranberry powder to you pet’s food can also prevent the growth of struvite stones in both cats and dogs. 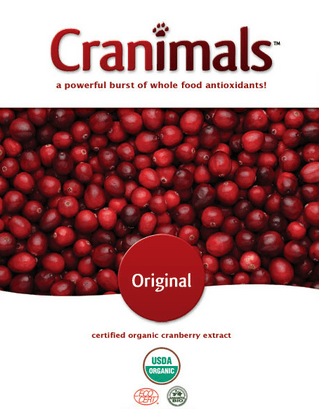 Cranimals also offers a “Very Berry” blend which also helps with urinary tract infections. Click here or more and/or to purchase this product! Supplementing with this pumpkin and cranberry powder will not only support your pet’s urinary tract health but it will also assist in regulating the stool. Click here or on image to learn more and/or to purchase this product! Unpasteurized apple cider vinegar (ACV) is antibacterial, antifungal, and antiseptic. It helps prevent bacterial and fungal growth in the digestive tract, all the while making sure not to upset the balance of the friendly bacteria inside the GI tract. ACV is an excellent source of vitamins and minerals, especially potassium. 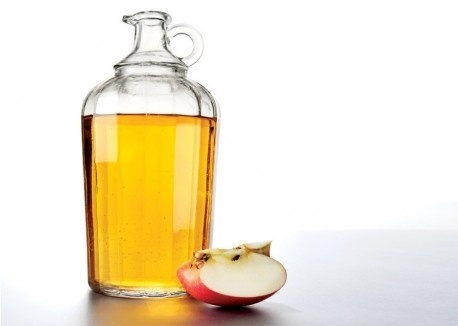 Apple cider vinegar may have a funky smell to it, it is a must have at home for your dog! For more information click here!